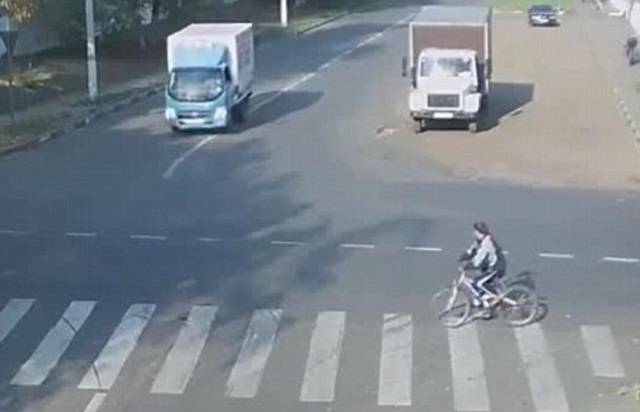 A Russian cyclist was very lucky to escape death after a car collided with a huge truck only inches away from him. 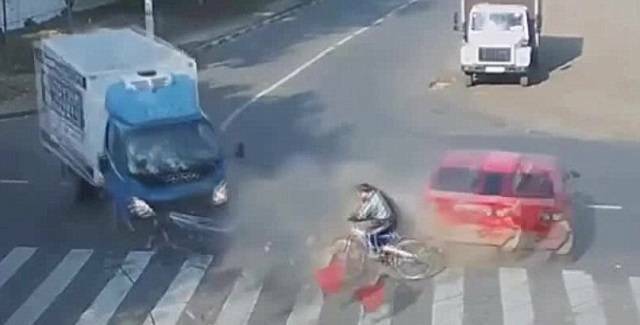 The shocking accident was caught on camera, and in the video, the cyclist can be seen taking caution while he wheels his way through the pedestrian crossing. 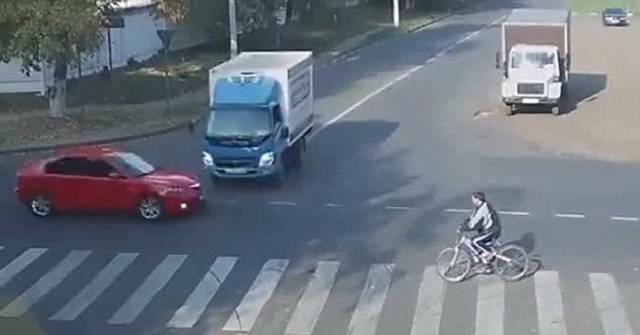 A truck then approaches the intersection, but from out of the blue, a speeding red car comes out, hurtling toward the massive vehicle, resulting in a collision. 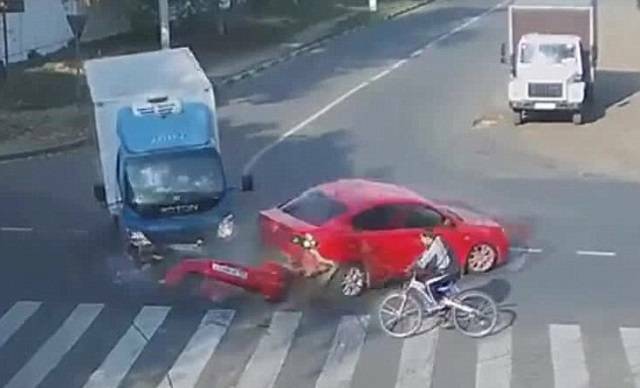 The two vehicles smashed into each other and the impact made the red car spin. 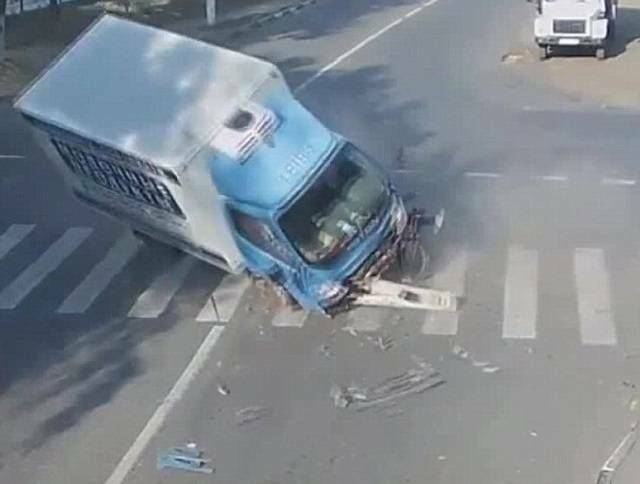 The truck driver loses control of the truck and ended up and it’s left going down on its side. 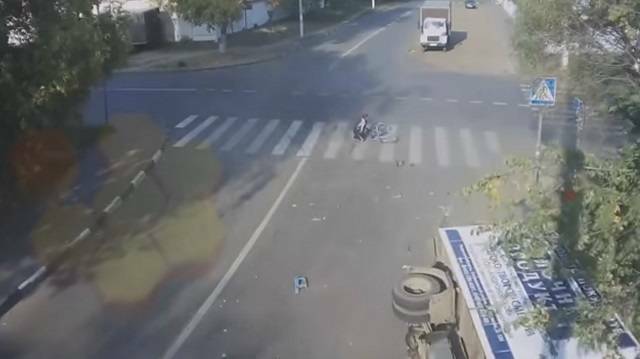 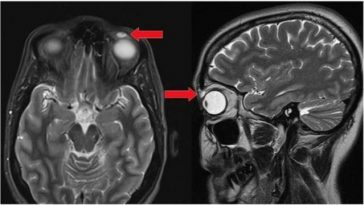 Luckily, the cyclist was able to avoid both vehicles from hitting him. 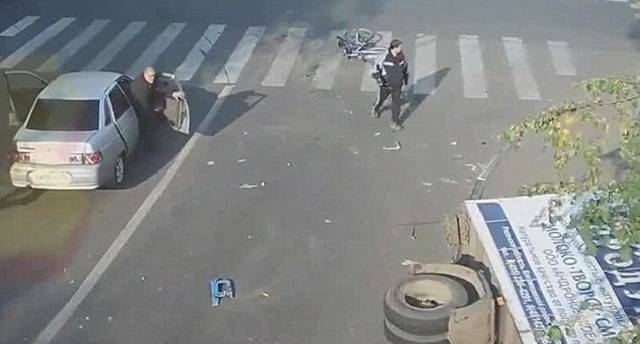 Although the cyclist did fall down, he sustained no injury and was even able to get up and help the truck driver.